May 28, 2008 -- Drawing on unprecedented intra-governmental cooperation, Gov. John deJongh Jr. and U.S. Sen. John "Jay" Rockefeller IV announced plans Wednesday for a new school on St. John, which will end decades of ferry rides for the island's students. "It is the right thing to do," Rockefeller said. "Maintaining the status quo was the wrong thing to do." Rockefeller, a West Virginia Democrat who received the territory's Alexander Hamilton Award in February, said he lent his support to the initiative when he learned that St. John children had to take the ferry to go to Ivanna Eudora Kean High School on St. Thomas. When the governor contacted Rockefeller about the issue, deJongh said, the senator's immediate response was "How can I help?" Rockefeller's family donated the land that launched the national park on St. John in the 1950s. Contracted condominium buyers seeking court protection against being forced to close on their units at St. John's Grande Bay Resort began building their case on Monday before a V.I. Superior Court judge. Two condominium buyers and a neighboring property owner testified during an eight-hour preliminary injunction hearing before Judge James Carroll III. The buyers of 30 units argue in their lawsuit that at least a portion of the development's four buildings are environmentally and structurally substandard. They also contend that developer Bay Isles Associates LLLP has not delivered on promised resort amenities. Rising from a 1.03-acre Cruz Bay beachfront site, the Grande Bay Resort includes 48 condominium units ranging in price from $350,000 to about $1 million. Published reports quote government officials saying villa owners - and everybody else with a stake in real estate in the territory - can expect some new numbers within a week or so. They may mean lower tax bills. Or not. 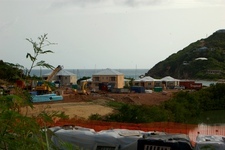 It's said that Bearing Point, which conducted a review of all properties on the three islands, has been dealing with hundreds of complaints and appeals, a reported 660 on St. John alone. Bearing Point has reviewed some of its work, and some of the properties, and is going to issue re-revaluations within a week or two. More about real estate values and residents reactions here from the VI Daily News. 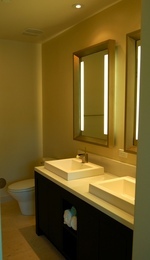 Brand new Two Bedroom Apt., Estate Bethany, above Westin, A/C. Also, efficiency overlooking Enighed Pond. 340-690-1104.
large living area, W/D, $1800/mo. 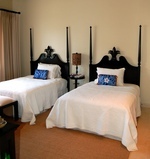 March 1 - Great view overlooking Cruz Bay, 2 BR w/AC, 2 bath, W/D, large deck, breezy. Residential area near Westin, 10 minutes to ferry. No pets. Lease $2400 + utilities. Security deposit & reference required. 690-4532. House for Rent: 2 bd/2 ba Mt. top house, 30 mile views, paved road, 5 min to Coral Bay, 20 min. 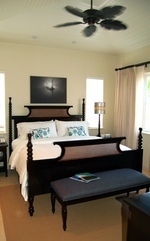 Cruz Bay, wrap around covered porches, A/C, W/D, annual lease. $2200/mo. "The luxury private residence resort Pond Bay Club, under construction in Chocolate Hole, is riding the latest high-end destination real estate trend, offering a 10 to one membership ratio for each of the 50 planned three-bedroom villas on the 15-acre site. The popularity of fee simple deeded fractional ownership has caught on in the high-end real estate market, starting in premier destinations like Aspen and Vail and quickly spreading with industry leaders like Ritz Carlton and Four Seasons jumping aboard. Now the trend is hitting the shores of St. John with the development of the six-star Pond Bay Club, managed by Folio Collection and constructed by First American Development Group/Carib." I wonder how the sales are going to perform during this current mortgage meltdown in the US. "Parks get some help from charitable land trusts that can buy land and donate it or give "bridge funding" to willing sellers until the park is in a position to pay. "We are a conservation emergency room, and with the decline of funding in recent years we've had to do more triage," says Mr. Front of the Trust for Public Land. 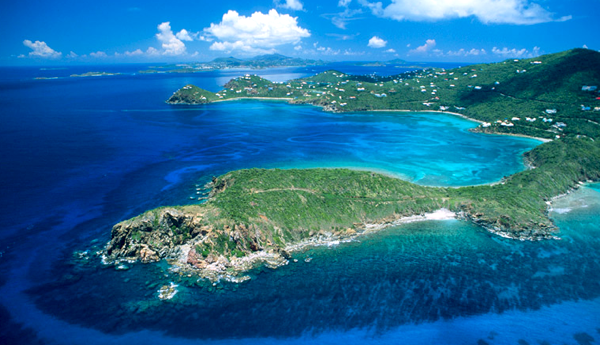 The group stalled a major development at the Virgin Islands National Park by putting up $30 million. The Trust also helped the park secure 56 acres on Cape Cod, Mass., including the only public camping area." Stanley Selengut, founder and owner ground-breaking eco-friendly beach resorts on St. John (Maho Bay Campground and Estate Concordia Resort), will receive the 2008 Pioneer Award of the International Society of hospitality Consultants for his industry-leading �green� tourism operations. Selengut will receive the award, among the most prestigious in the hospitality industry, at the Americas Lodging Investment Summit in Los Angeles, where he will also be the guest of honor at a DOT reception at the Beverly Hills Hotel on January 30. Print and broadcast journalists from leading travel and lifestyle publications, TV stations, and Web sites will be attending the reception. Selengut launched a Trash to Treasure recycling program at Maho Bay and partnered with the U.S. National Parks Service to develop models and designs for future ecotourism resorts. His work has transformed the concept of sustainability, using waste and recycled products from the resorts to develop saleable arts and crafts. His latest project is a 51-acre resort community focusing on self-sufficient cottages and other green building processes. In addition, the resort will address the needs of people with physical disabilities. He predicts that in the next few years we will see shortages and price increases for basic resources in the hotel industry. As hotels seek cost-cutting opportunities, they will explore Trash to Treasure Centers such as the one at Maho Bay. "A comparison of the St. John residential home sales for the year 2007 with that of 2006 is quite reassuring, particularly if you read the doom and gloom scenario for the mainland resort markets overall. According to the St. John Multiple Listing Service Data, the total number of active listings increased only 5% from 207 to 218, with new listings down 20% from 120 to 96." There are more statistics in the post - it will be interesting to see how soft the market on St. John gets if the mainland market continues to deteriorate. 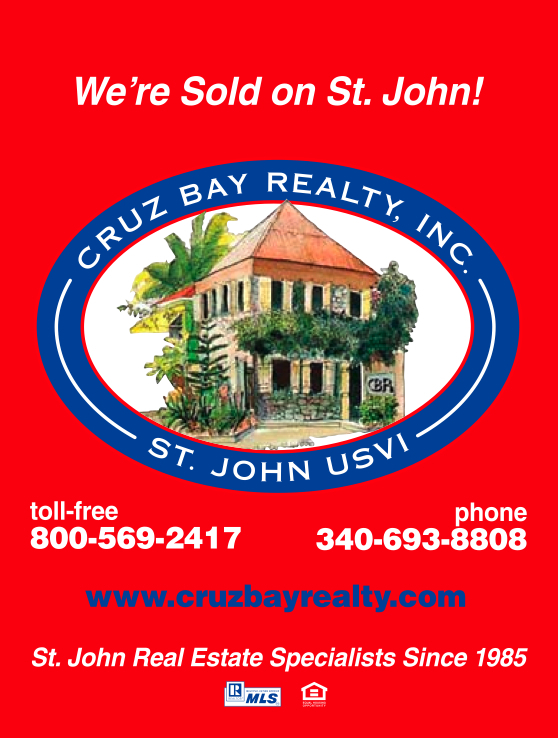 The number of homes for sale on St. John has increased at least 11% since the start of the year. The morning's Multiple Listing Service Web site shows a record 140 residences on the market. Asking prices are between from $365,000 for an unfinished apartment with a view of Salt Pond to a $10.4 million beauty at Hansen Bay on East End. Something for every taste and pocketbook, perhaps. In the wake of the V.I. Legislature�s passage of Sirenusa�s controversial zoning variance, a number of Love City residents have been making strong allegations regarding the luxury condominium project overlooking Cruz Bay. The Senate voted 13 to 1 to approve a zoning variance for the 40-unit development from R-2, residential low-density, to R-3, residential medium-density, in order to construct seven additional units in three existing buildings on the lowest portion of the five-acre site. The campaign against the development is being led by people who are determined to shut the site down, according to Sirenusa developer Enighed Condominiums LLC owner Carlo Marzano. Via Frank Barnako's News Of St. John I see that Islandia Real Estate has started a blog - interesting stuff, we wish them good luck with it. The St. John Board of Realtors website has a good page for St. John Zoning Regulations including information on R-1 Residential - Low Density, R-2 Residential - Low Density One and Two Family, and W-1 Waterfront Pleasure. "R-1 Residential - Low Density Much of the land in the Virgin Islands is hilly or mountainous with steep slopes and a minimum amount of soil over a rocky subsurface. These areas are being used for residential purposes, with sewage disposal by means of septic tanks. The minimum lot area for such use should be one-half (1/2) acre, and even this minimum is questionable with respect to adequate disposal of sewage without surfacing of effluent to disturb one's neighbor. Fortunately, there is no conflict with wells that supply drinking water. These zones should be carefully located in relation to subdivision regulations." The community is rallying to have the Group Dwelling Permit for the construction of 44 condominiums and a community center DENIED. If you are against this type of development in a residential area, please sign the attached petition and fax back to me at (340) 693-9812. Below you will find a brief summary (Tradewinds Newspaper) of the Public Hearing concerning the proposed 44-unit condominium�project on Parcel�K Estate Gift & Regenback. Developers aired their request for a group dwelling permit to construct a 10-building, 44 unit condominium project on 5.6 acres on the hillside above Rendezvous Bay in lieu of 14 house lots already allowed on the site to lessen impacts to the fragile ecosystems, the project architect told a public hearing on the proposed development. No one testified in favor of Atlantic Northstar's, LLC's request for a group dwelling permit at the Department of Planning and Natural Resource (DPNR) Division of Comprehensive and Coastal Zone Planning Public Hearing on Thursday, June 9, at the Legislature Building�in Cruz Bay. The permit concerns Parcel K, a 5.67 acre parcel in Estate Gift and Regenback, and would allow construction of 44 dwelling units in 10 separate structures on the steep hillside above Rendezvous Bay. Atlantic Northstar, LLC�owns 22 acres of land from Upper Point Rendezvous up to Parcel K located in Estate�Gift and Regenback and already has permit approval to build 38 units�on the land.� ** 24 (1/2 acre parcels located in Estate Rendezvous & Ditleff (above Point Rendezvous) and 14 (1/3 acre parcels on Parcel K Estate Gift and Regenback (adjoining parcels). Of those 38 parcels approved for development, 14 (1/3�acre parcels) are located on the 5.67 acre Parcel K, which is zoned R-2 (Residential - low density one and two family). "Fourteen house lots have already been approved; the application we are asking for today is an exchange for what we've already been permitted," said the architect. Upon permit approval, Eagle's�Roost,�the 44-unit, full ownership condominium project will consist of 11 two-bedroom units, 22 three-bedroom units and 11 four-bedroom units; a community center; a pool, and deck (a total of 132 bedrooms on this 5.67 acre site). The project will also have underground�utility with a back-up generator, "fast" sewage systems with built-in irrigation system, two parking spaces for every unit and eight spaces for the community center. The Developer's previous contractor�who started the road construction "was not as studious as hoped" and cut the road in the Rendezvous/Ditleff area in the wrong location. "The road has been cut and certain endangered species had been destroyed," explained�the architect,�William M. Karr.��The owners have since hired BioImpact to help mitigate the endangered plants and become more environmentally sensitive. The article in the Tradewinds Newspaper further�reported on the testifiers specific concerns of the extreme density, roads, traffic, run-off, endangered plants and inconsistency with the surrounding neighborhood uses. Charles McCallion, partner of Atlantic Northstar, LLC offered closing remarks. "We are not here to damage your island; we are not here to create problems - we are here as businessmen to develop what we have acquired legally." As Attorney Brion Morrisette said at the hearing - "This will not benefit the community of St. John - it will only serve to maximize the off island developer's profits." "A $4.2 million, 5-bedroom/5.5 bath with pool and hot tub at San Souci moved off the Multiple Listing Service this week, but has not been sold.� The property was listed, didn't move, and so it's been taken off the market, according to Diana Beam at RE/MAX Island Paradise Realty. "They usually get renewed and placed back on the market," she said in a comment to NewsofStJohn.com." Frank Barnako says the St. John real estate market is "Stuffed fuller than a Thanksgiving turkey". Read the rest of Frank's comments on his site. "It's been quiet for the last week, with only one property coming off the Multiple Listing Service and no new residences being added. A 4-bedroom/3-bath property in Carolina, priced at $2.9 million, came off the market, leaving the MLS with 42 residences being offered." One property was added to the Multiple Listing Service in the last week, none came off.� The lone addition, priced at $950,000, is in estate Hard Labor.� Built in 1987, the residence has 4-bedrooms and 3-baths; no pool, increasing the inventory of listed available homes to 35. "The folks behind the attempted house auction sale last weekend have decided to try the traditional route.� The 30-year-old 3-bedroom, 2-bath Enighed home (view is pictured) was added to the Multiple Listing Service at a price of $989,000, almost $40K more than the minimum bid price of $950,000.� The owners received no acceptable offers with their auction effort.� Also new to the MLS is Ebb Tide, a 3-bedroom/3-bath older home on the water at Chocolate Hole.� Asking price is $2,999,000." Frank Barnako is reporting this is the average price of a home on St. John - check out his site for more info! Florida-based Reliance Housing Foundation began construction Wednesday on 36 affordable housing units in Estate Bellevue, St. John. Reliance's $20 million Bellevue Village project off Gifft Hill Road will offer 72 duplex units to qualifying renters. Rents will be set at $524 for an 849-square-foot one-bedroom unit and $722 for a 1,479-square-foot four-bedroom unit. The project will be finished in early 2005. "Affordable housing is overdue on St. John," said Bernadette Crummer, St. Thomas office manager for Reliance, a nonprofit affordable housing provider. Here's a summary: A 2-bedroom, 2-bath frame Chocolate Hole house came off the MLS.� It had been priced at $1.15 million and is located along Great Cruz Bay Road, with access to the beach.� A 3-bedroom, 3-bath, 3-million residence, also at Chocolate Hole, also dropped out, perhaps because it was sold.� The property was built in 1968." Inventory is at a three-month low.� Only 35 residential properties are on the Multiple Listing Service this week, two less than last week.� No properties were added to the list.� Sales people will tell you it's tough to do business from an empty cart. Houses removed from the MLS included a 2-bedroom/2.5-bath at St. Quaco and Zimmerman, listed for sale at $975,00.� It went on MLS in mid-April.� Also un-listed was a $1.6 million 3-bedroom, 3-bath home (pictured at left) with a 24x20 foot pool.� The property at Gifft Hill and Regenback was first offered last year.